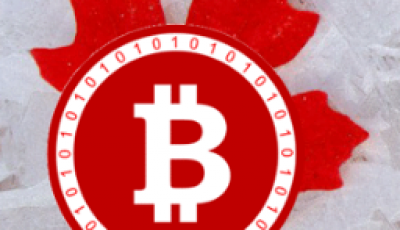 Jon Brodkin of Ars Technica has begun investing in bitcoin after making a trip to a Boston bitcoin ATM. The ATM is located in Boston’s South Station. The bitcoin novice inserted a dollar into the machine and got back 0.0014 bitcoins. Co-founder of Liberty Teller Chris Yim, congratulated Brodkin after his first transaction, telling him “You’re now a bitcoiner.” The Liberty Teller ATM is a Lamassu model and is America’s first installed bitcoin ATM designed for public use. Yim and co-founder Kyle Powers personally tend to the machine everyday, which is located at the entrance door that leads to track #6 of Boston’s South Station. It is necessary for one of the two ATM owners to secure the machine at all times, as it is small enough for someone to pick up and run off with. Yim says he and his partner are working on coming up with a way for the machine to stay sanctioned at the location 24/7. The Boston bitcoin ATM operators listed the machine’s hours of operation on their site, and noted that an appointment is required to use the machine on Wednesday and Saturday for the week of March 9th. The schedule will change from week to week until a permanent residency for the machine is created. 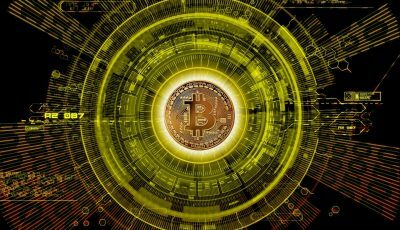 Brodkin added that traffic to the machine was well received, as users deposited cash for bitcoin every few minutes while the machine was set up. Brodkin recalled meeting one ATM user wearing Google Glass by the name of Brian. Brodkin says that the gentleman stuffed multiple 10 and 20 dollar bills into the machine, converting his cash to digital currency. Brian, whose last name wasn’t mentioned, says he plans on accepting bitcoin transactions for his new business, Dinghy Dogs, which opens this summer. 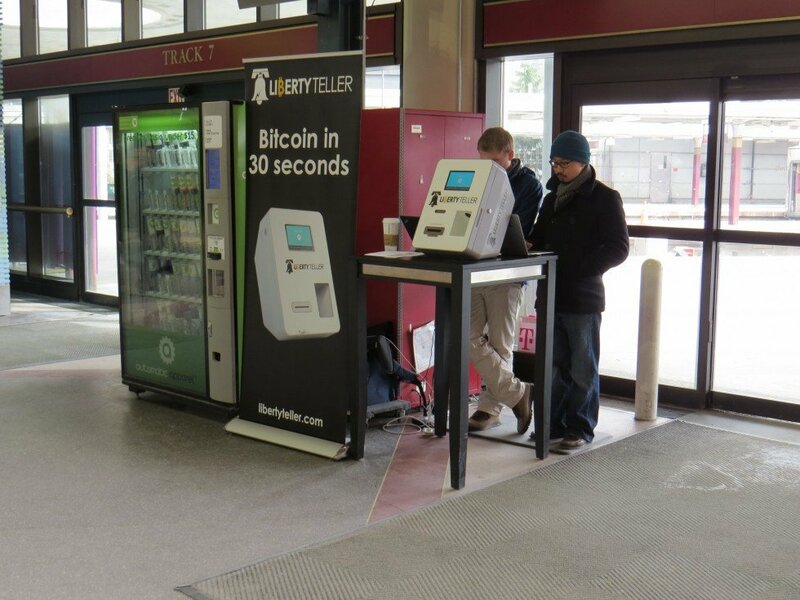 The machine made its debut at the South Station on February 19th. Although no nearby businesses accept bitcoin, Yim is confident that owners of the nearby shops will soon change their minds. Yim adds that his company pays for all business expenses with bitcoin. 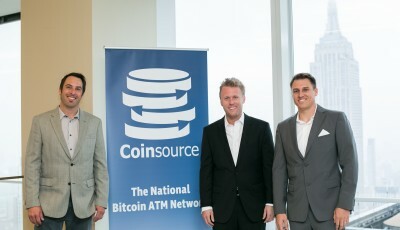 The company offers first time bitcoin users paper wallets to get them started with the digital currency. The paper wallets contain a seal, that if broken, opens and displays a private key that secures the bitcoin. Other ways of using the ATM can be done through use of smartphone apps like BlockChain. Brodkin used the app on his jail-broken iPhone to scan a QR code on the machine’s screen to deposit his cash for bitcoin. The Liberty Teller team proudly attests to transactions with their ATM only take 30 seconds to complete. However, the machine won’t allow users to exchange bitcoin for cash. The Liberty Teller duo buy their bitcoins from miners and various other sources in large amounts to sell them for a profit. The acquisition of the Lamassu ATM was key in starting the business. The Boston bitcoin ATM has joined the ranks of other bitcoin ATMs which have been already installed across other global sectors. Countries like Singapore, Canada and England already have publicly installed bitcoin ATMs, which have been making an impact on the bitcoin industry. As rival companies Lamassu and Robocoin continue to stretch their machines and company’s recognition across the world, the true winners between the two competitive companies are the members of the bitcoin community. More people are being exposed to bitcoin, resulting in its popularity and growth to increase.